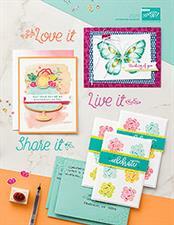 My Happy Stamping Place: Stampin' Up! Stampin' Blends alcohol markers!!!! I couldn't be more excited to announce the new Stampin' Up! Stampin' Blends alcohol markers!!! I love coloring with alcohol markers and to have them in Stampin' Up! 's exclusive colors is all the better!!! They can be purchased individually so you can get just the colors you want. Of course I ordered them all! They come in 2 shades of the 12 colors introduced. One is a light shade and one is a dark shade perfect for blending and shading. 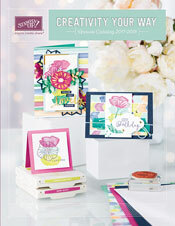 Here is a link to the Stampin' blends brochure. You will find all of the Stampin' Blends available plus some new stamp sets and a kit perfect for coloring with the new alcohol markers!!! I have had these markers for a few weeks and am LOVING them! They come with a brush tip and fine tip so you can get just the amount of color you need. I will be sharing some samples over the coming weeks that I have made with this new markers. Everything in the brochure is available to order now! Just go to my website to place your order.